"Movie horror walks the line," Janes Grainer a Toronto editor said, "fun scared can easily become scared scared." Dr. David Palframan, a child psychiatry specialisty at the University of Ottawa is pretty clear in his instructions NOT to let your children see horror movies without your permission and hopefully even without your company. When you do give permission, he adds, be careful -- most horror movies are simply NOT appropriate for children of this age group. 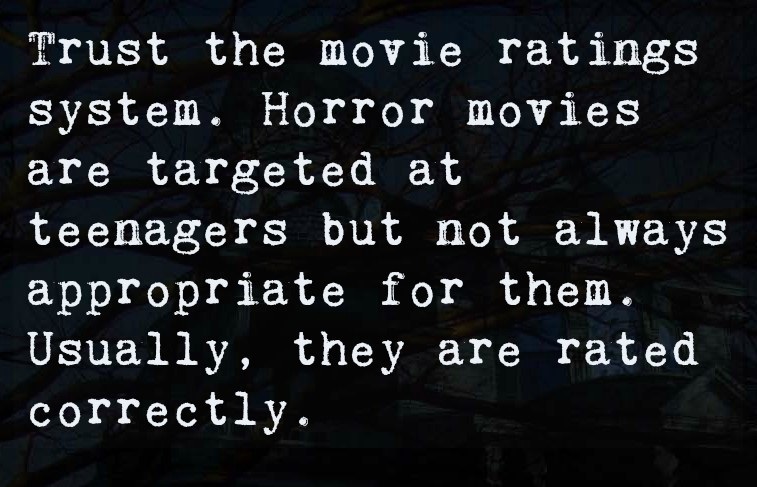 Horror films are extreme in their subject matter which, of course, makes them attractive to your tween. The result is often problems after-the-fact like waking anxiety and sleep disorders or even acting tough or being violent. Do not, however, make the mistake of condemning all horror films. If you are a parent, you probably know what this does. It pushes children toward whatever it is you are condemning. 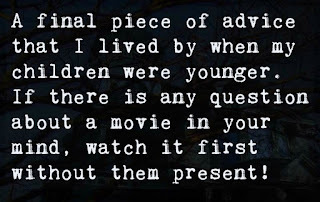 Instead, talk about horror movies, let your children ask questions and take the time to answer them. 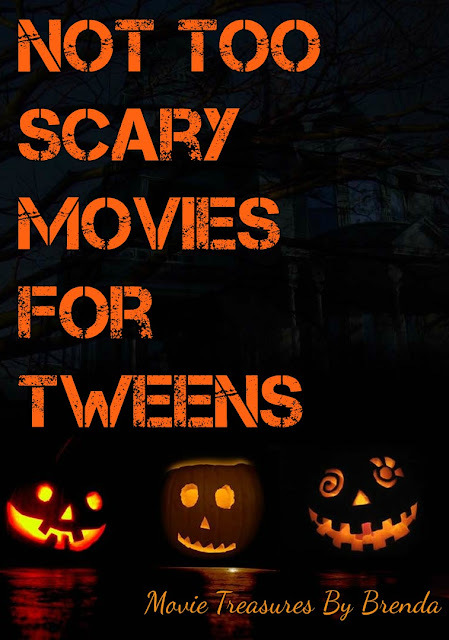 On this page, you will find eight recommended horror films for your preteen child. You will also find a short review of each movie and a few links to more lists of scary movies for tweens that people have put together online. I hope you and your family find some boo-rrific ideas on this page! 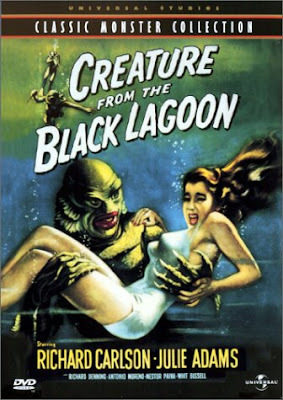 The Creature From The Black Lagoon features a scary monster who turns out to be in love! It takes place on a tributary of the Amazon River where scientists discover a weird creature with gills that doesn't want to be captured. It was a low-budget film in 1954 that has some tense moments and is not too scary. It is 50 years old and still going strong! Order Creature from the Black Lagoon on Amazon by clicking here. 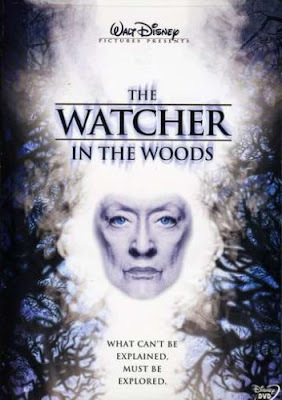 The Watcher in the Woods is spooky but not too spooky. Disney definitely did it right for this age group! In this film, a teenager who is staying at an eerie English country house tries to discover what happened to another young girl who disappeared there 30 years ago. Read my review of Watcher in the Woods by clicking right here and order your copy of this movie from Amazon by clicking here. THE MOVIE STARS TIM CONWAY AND DON KNOTTS. 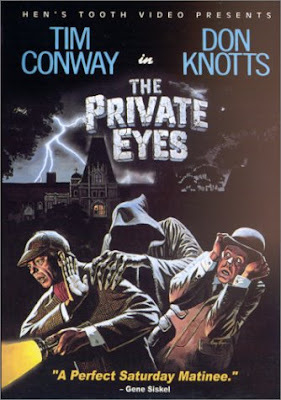 The Private Eyes film is a Scooby-Doo-style horror/comedy movie. A fun approach for a Halloween film. The comic duo solves a murder in a spooky old house. Order your copy of The Private Eyes from Amazon by clicking here. This film manages to be cute and scary but really downright mischievous! (Don't let those Gremlins near water and don't feed them after midnight!) It is a dark comedy and the creatures do turn nasty so beware that this film is filled with mischief, mayhem and murder. 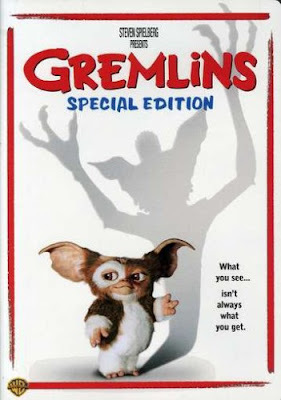 Click here to buy Gremlins from Amazon. All the classic monsters show up in this film with the kids fighting and defeating them! Pre-teens stop Count Dracula when he tries to destroy an amulet. This film is full of fun but the monsters demise is worthy of caution for the very young. 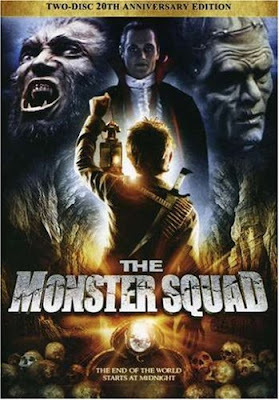 Read more about and order your copy of The Monster Squad on Amazon by clicking right here. Under Wraps is a 1997 movie that was produced for the Disney Channel by the Disney company and Hallmark Entertainment. It's a mostly humorous movie about three children and a mummy though it does open with a scary scene. The scary scene is quickly over and, it turns out, is not really real. I don't want to say more and ruin your surprise. This movie has an almost cult-like following of people who watched it in the late 1990s. Read my complete review of Under Wraps here or order your copy from Amazon by clicking right here. Not too sure if this is officially a Halloween or a Christmas movie, but it is fun for both with a bit of the macabre thrown in! Imagine Santa Claus kidnapped and tortured, which is enough to put you off this stop-action animated movie that is part musical, part fantasy, part horror and part comedy. It is definitely a Tim Burton production. However, Roger Ebert said, and I am inclined to agree, "some of the Halloween creatures might be a tad scary for smaller children, but this is the kind of movie older kids will eat up; it has the kind of offbeat, subversive energy that tells them wonderful things are likely to happen." Perfect, for your tween! 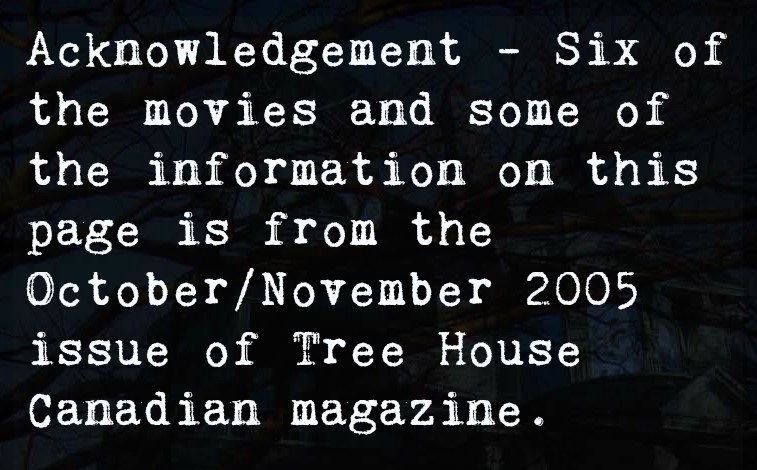 This is another film with a cult-like following. 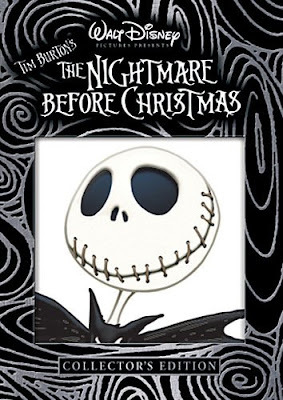 Order your copy of the Nightmare Before Christmas on Amazon by clicking here. 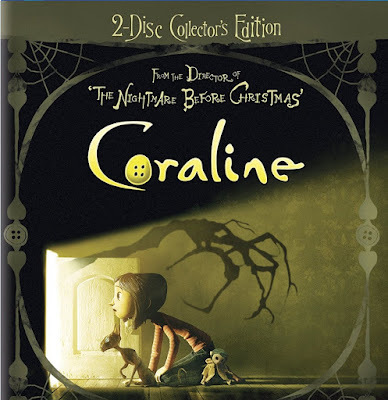 I was so pleased to be able to add a Coraline to this movie list for tweens. I know that sometimes some tweens just do not want to consider an older movie and this presents a more recent release. Coraline is an excellent movie and (if you are watching on HDTV and blu-ray) it was rated as one of the best blu-ray movies of 2009. However, that being said if you are a concerned parent you need to know a bit about the rating of Coraline. The movie association rated it PG. However, there is considerable concern from parents as to whether or not that rating was high enough though I have seen this movie recommended for children 11 years old and up and for middle school aged children. On my review page of Coraline, I said, "Some children might find the images disturbing. Others may be upset by some of the themes. Still others may be reassured by the brave heroine." Children do react to movies differently and it is up to you to know your own child. I invite you to visit my page and read more about the rating of Coraline by clicking right here and I urge you to keep these issues in mind if you are considering this movie for your tweens. 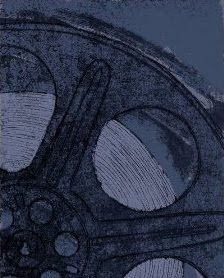 You can order your copy of Coraline on Amazon by clicking here. Well that's it. My list of tween movies. Be sure to let me know if this page was helpful. I'd also love to hear your recommendations for scary Halloween movies for pre-teens! Bald is beautiful...unless you are a young boy who suffers a bad fright and has all of his hair suddenly fall out. Lady in the Water is a fantasy movie, which was written and directed by M. Night Shyamalan. 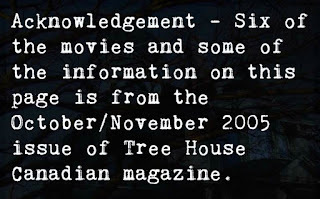 Author's Note: Originally published elsewhere in 2009. But I can see being with your children when they are interested in this genre and reminding them often that it's only a movie. Since I, myself, enjoy a bit of fright but do not want to be scared to death, these movies sound perfect for me. Actually, I have already seen several of them and really enjoyed them. You are absolutely right about kids. They will probably end up seeing movies they have no business watching, but as parents we need to try to prevent that from happening. The visual images embedded in your mind are simply too violent or grotesque. 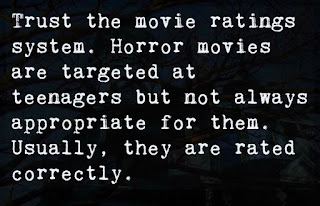 Thank you for creating this great reference and review of horror flicks for tweens! Thanks for visiting, ladies. I know I really struggled when my boys first started asking for scary movies. I'm not a fan of scary movies even at my (over a certain) age. From all of these, I'd probably be safe with the Don Knotts and Tim Conway movie. 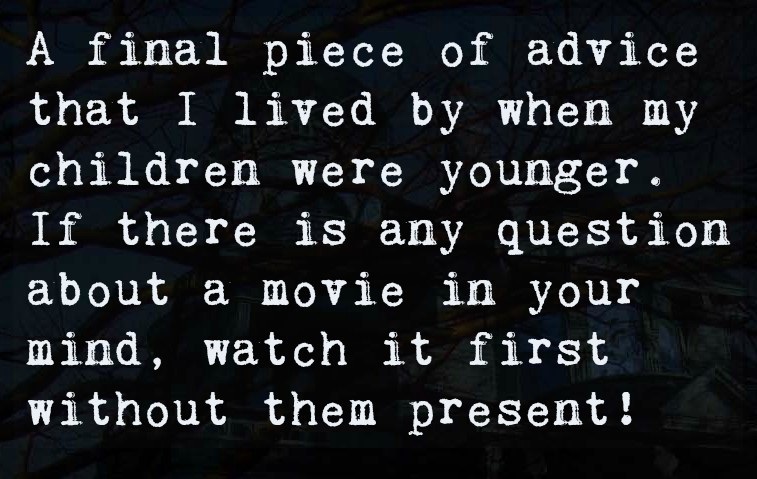 You actually have me wondering if my now-grownup sons enjoy horror films. They were pretty sheltered from them when they were tweens, so I'm wondering if they ever even developed an interest in the genre. Guess I'll have to ask. In any case, your reviews should be very helpful for parents of tweens, especially around Halloween. Appreciate the list! For myself, I don't usually watch 'horror' movies, but I know they have an appeal to many kids. Your list is excellent, giving a synopsis and recommendation for 'tweens'. I agree that parents should pre-watch any questionable movie their youngsters are clamoring to watch, or watch it with them, or find a review such as yours to go by before giving permission.